We offer industry leading technology with Laser & IPL hair reduction all performed by highly trained and fully licensed skin & laser practitioners. Our whole team are government licensed through Queensland radiation health. Each of our practitioners will take the time to discuss the differences between these services and help you assess the best hair reduction method for you. Laser treatment in particular is an area where the results you can achieve is highly dependent on the skill of the laser operator. That’s why you’ll be glad to know that Integrity’s founder, Claire Mason, is a certified international laser and light based systems trainer and laser safety officer. 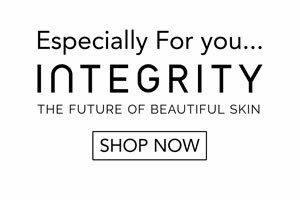 Just another reason you can be sure the service you receive at Integrity Skin Clinic is of the highest standard and you achieve the best results possible. If you are considering laser hair reduction, there are a few things you need to know…. How should I prepare for a laser hair reduction procedure? For best results and to avoid unwanted side effects, you may need to take a few preparatory steps before undergoing laser hair removal treatment. In particular, it’s important to avoid tanning before having this treatment. Patients using tanning creams should stop several weeks before the treatment in order to avoid any interference. Also, you should avoid waxing, plucking or using electrolysis to remove the hair before the laser procedure. Shaving, on the other hand, is allowed and we prefer you do so the day before your treatment. By not shaving/preparing the treatment area prior to your laser hair reduction treatment an additional fee for your practitioner to do this will apply. What do I do after a laser hair reduction procedure? We recommend you keep the treated area hydrated. Your skin will thank you for using a recommended/approved after care cream. This will help heal the treated area very quickly and help prevent ingrown hairs, should you suffer these. We also recommend avoiding direct sunlight and to use a good broad spectrum SPF sunscreen, ideally 50+, daily. If you are heading out, in conjunction with the right sun protection attire, reapply your SPF sunscreen every 2 hours for maximum sun protection. How many procedures will I need? Everyone is very unique. Health considerations, genetics and other influencing factors like stress levels will influence how many procedures you may need. We recommend making an appointment to speak to one of our skin practitioners. This one-on-one assessment will help us determine the best course of hair reduction process for you. If you have questions about how laser hair removal works and what you should do before undergoing this procedure, we can provide you with the information you’re looking for. For a consultation with an experienced laser practitioner for your hair removal options, contact Integrity Skin Clinic on 07 38494111 or via [email protected] today. Speak to our skin practitioners today! We love helping you achieve your skin goals ? Experience your complementary jane iredale makeup lesson, for that perfect glow. ?